You may be surprised to see me reviewing Megan Gilmore’s beautiful new book, Everyday Detox, because it has been a long time since the word “detox” has found its way to this blog. The detox minded philosophy, including food combining, an emphasis on juicing, eating light to heavy, and so on, is very much a part of where I come from with food. It was through a detox-oriented community that I first got into raw food, and the principles I picked up were a part of my lifestyle for a long time (including my first year or two of blogging life). Most of you know that I’ve moved away from this, with emphasis. Part of it was a desire to banish orthorexic thinking from my life and from my messaging as a blogger, and the other part–the bigger part–was my pre-med education, which helped me to identify flaws in the premises on which a lot of detox philosophy rests. But when we change in life, I think it’s important to retain a sense of our past and respect for the things we’ve let go of. I no longer practice food combining, and I don’t believe that juices and vegetables are “awakening” toxicants in my body and helping to pull them out of me. I will never again force myself to hungrily sip juice till lunchtime because I’m trying to keep my body in “detox mode.” But I appreciate many things that I picked up from the raw food/detox world: a flair for creating awesome, dinner-worthy salads; a capacity to be satisfied with simple combinations of foods; a creative approach to using fresh fruits and vegetables, embodied in everything from zucchini noodles to cauliflower rice; and, most of all, a fundamental understanding that, whether they’re “detoxifying” or not, plant-based foods can be profoundly healing, for all of us. For this reason, I continue to enjoy a lot of raw and detox-oriented blogs, and Megan’s blog, Detoxinista, is at the top of the list. Megan and I have similar backgrounds: we both trained with Natalia Rose and really got into raw food through the detox philosophy. We’ve taken different directions over the years, but I’ve always loved Megan’s tasty recipes (especially her desserts, which rock), and I have a strong sense of respect for her sensible approach to the idea of detox, which in the hands of so many others is presented militantly. Megan’s not strict about anything: she doesn’t use a dietary label to sum herself up, though she dabbles in raw, veganism, and paleo. She practices food combining and writes about it in her book, but she presents it mostly as a way of emphasizing simple food and mindful eating, rather than a set of rules couched in pseudoscience. And, though she writes about the concept of detox frequently and has made it the focus of her new book, she presents it without dogma or certainty. She has given a lot of attention to balance and self-care on her blog, which I appreciate. When I read Megan’s words about detox, I’m mostly struck by her emphasis on healing ingredients, simple meals, and an overall emphasis on plants. I don’t feel that I’m being encouraged to purge an unclean body, which is frankly how I feel when I read a lot of other stuff about detox (and explains why I so rarely do anymore). I just feel inspired to make realistic, healthy choices. Most of all, I really love Megan’s food. And that’s why I love her new book. As you can see, Megan makes healthy food look and taste great, and she creates recipes with digestive health and overall well-being in mind. 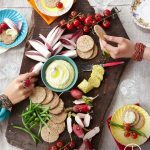 All of these recipes, much like the recipes on her blog, are super simple, designed for the home cook who wants to ease into healthful eating without getting dragged down by complicated recipes. I also love that Megan has been trained in raw food, but she doesn’t rely on too much sprouting or soaking or dehydrating — all of which can take up a lot of time. The book also features a lot of useful front matter, including Megan’s own storing and information on setting up the kitchen and stocking one’s pantry. 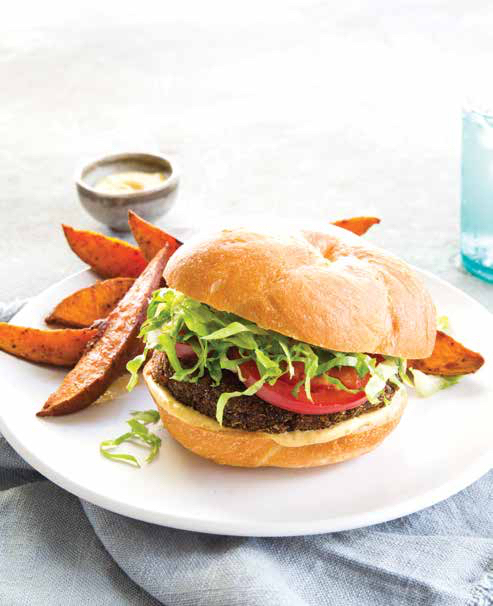 The book is not vegan, but out of the 100 recipes, 75% are vegan or can easily be made vegan with a substitution, like replacing honey with maple syrup or agave. It’s a perfectly good investment for a vegan cookbook collector, and I know I’ll use my copy often. I wanted to share one of Megan’s recipes that I thought would be a) seasonally appropriate and b) capture her low-maintenance cooking style. I chose her lovely strawberry lime sorbet, which can be whipped up in mere minutes in a blender. In a large food processor fitted with an “S” blade, combine the strawberries, lime juice, maple syrup, and water. Process until the strawberries are completely broken down, which may take several minutes, creating a smooth and thick consistency similar to sorbet. Add more water, if needed, to achieve this smooth texture, and then serve immediately. Note: Leftovers can be stored in a sealed container in the freezer, but they will become rock hard when frozen. To serve again, remove from the freezer and thaw for 20 to 30 minutes, until the sorbet can be stirred and restored to its original texture. 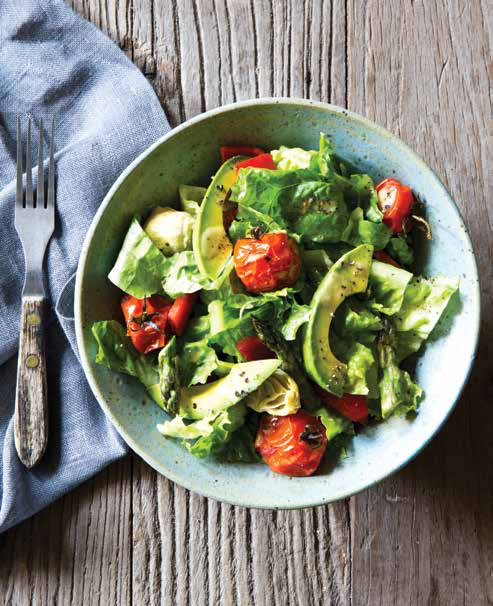 If this recipe piques your interest (and how could it not), then I’d love to give you a chance to win a copy of Megan’s Everyday Detox for yourself. US and Canada readers can enter below to win a copy of the book. The giveaway will run for two weeks. OK, friends. Good luck with the giveaway, and enjoy the sorbet. And Megan, congratulations on your publication! I’ll be back tomorrow, of course, with a new weekend reading roundup. 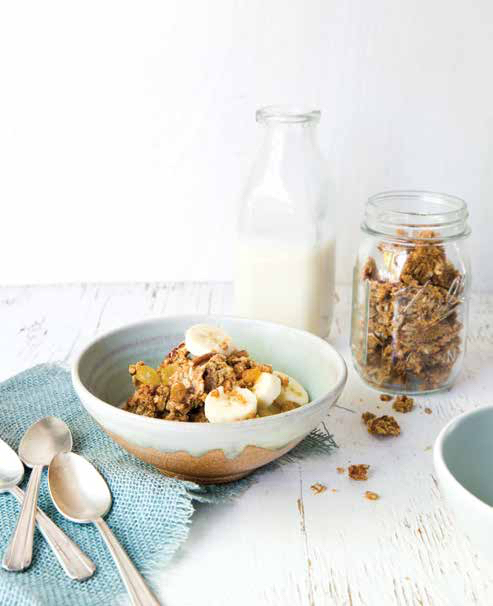 All images and recipe are © Everyday Detox by Megan Gilmore, Ten Speed Press, 2015. Photographs by Nicole Franzen. What a beautiful looking book! I love how something so sweet and indulgent sounding is actually simple and healthy. I also appreciate your ability to re-embrace the word “detox” for what it is and what it isn’t, and just be able to appreciate the food! 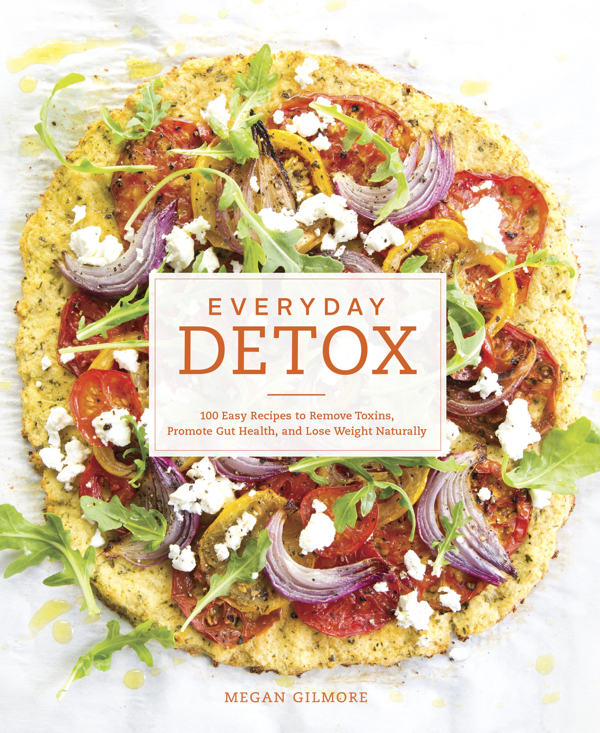 I am excited to win a copy of EVERYDAY DETOX because I have been a loyal reader of Megan’s blog for a while, and her recipes are sensational. Would love to have this book as an extra fabulous resource. Megan’s blog is actually the first food blog I ever really looked at and read! So I’m so excited to see this lovely book! I love that she enjoys her cuisine without a specific label. Sounds like a great addition for someone who is building a wholesome cookbook library. I almost bought the book for the pre-order bonuses, but oy, I’m not the physique 57 type either. Just can’t get into it. Still, the book looks beautiful. I’d love to win this, but if I don’t, I’m definitely buying it. I love Megan! So excited for her! She was one of the early food blogs I started reading! I’d love to win Megan’s cookbook because I love her blog and her recipes are simple and awesome! I love this blog and the book looks great! I love your attitude Gena. This food doesn’t look like it needs any label other than “delicious”! Love her blog! I’ve made a bunch if her desserts and they are always a hit and so simple to make! It’s always nice to find good recipes books that focus on natural weight loss vs fad dieting. I just checked out Megan’s blog and totally agree with your assessment! Would love to get a copy of her book! I’d love to get her advice on IBS, as the older I get, the more sensitive my digestive system seems to become. I follow Megan’s blog and love so many of her recipes. 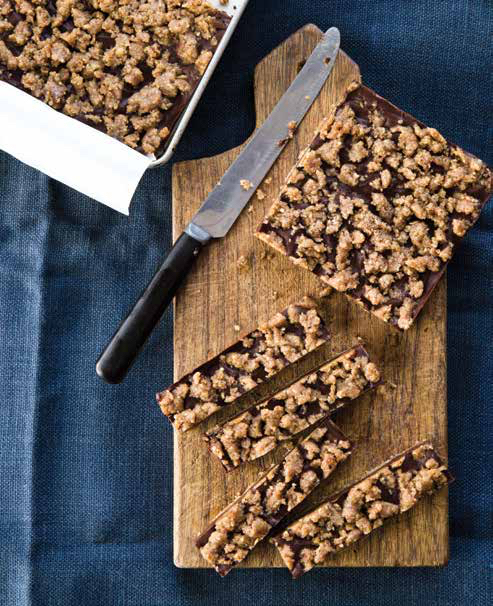 The chocolate pecan bars above look amazing! I love collecting pretty cookbooks. Non-dogmatic “detox” cookbooks are so hard to find I stay away. This one looks different, and I’m curious to see that pizza recipe from the cover! I look forward to improving my digestion more from this book. Plus, the recipes look great. I’m always on the hunt for new recipes that are healthy for my gut, and tasty! Many of these recipes look fresh & light — perfect for summer! I share absolutely your views of “detox” but I love raw food and these recipes all look amazing. And perfect for summer. Will definitely check out the cookbook. I have always followed Megan’s blog and love her detox macaroons! Can’t wait to see what’s in store for her cookbook! Congrats Megan!! Is that a cauliflower-crust pizza I spy in the cover photo? I had one for the first time and loved it — and this one looks gorgeous with those toppings! I have seen this cookbook and it is beautiful! Plus the recipes all look amazing. I would love to start a cookbook collection with this one! Even the cover looks delicious! Thanks so much for the chance to win. Megan’s recipes are all so amazing!! I want more!!! I would love to learn more about eating healthy. The food looks delicious and healthy! 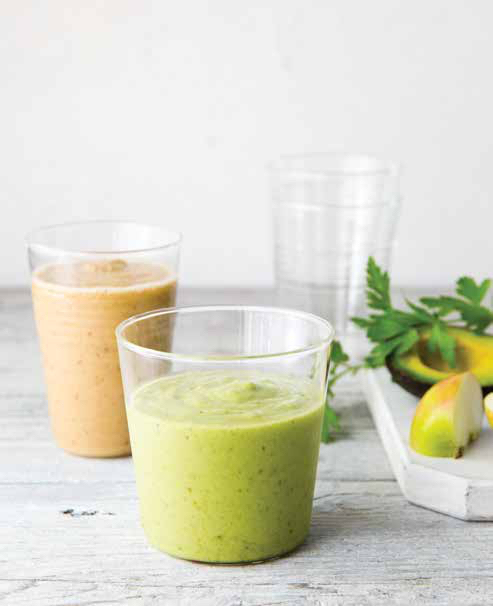 Everyday Detox looks great and can’t wait to try this recipe! 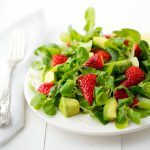 I’ve just “discovered” Megan’s blog a few months ago and love her laid-back approach to healthy eating. I’d love a copy of her cookbook! Both the sorbet & the book look refreshing & a perfect intro to summer 2015! That sorbet looks so refreshing. I love the Detoxonista’s recipes! Now that I’m out of school for the summer I have lots of time to try out new healthy recipes. I’d love to win a copy! Detoxinista is the BEST! I hope I win the cookbook- if not I know what will be at the top of my birthday wish list. 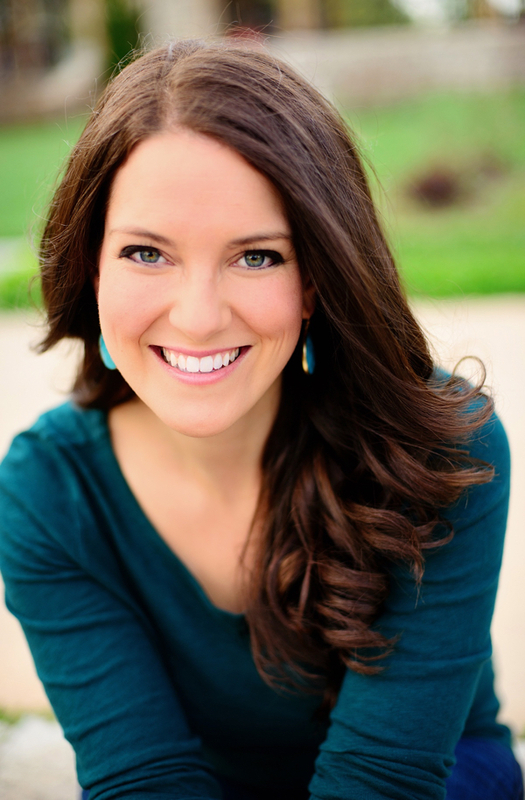 I absolutely love Megan’s blog and I really hope to win her cookbook! I just had a look through your blog, too! 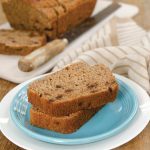 Lovely looking recipes! I will definitely need to try a few, soon!! I would be so excited to win your book because I really need to detox, and I need more recipes! It would be nice to have my energy back and my have my joints not hurt any more. It all looks so amazing and delicious! raw living is more exciting when you find great recipes to make, eat and share with others. I can’t wait until this book comes out. I love her Facebook posts. And healthy recipes. I love her blog, and I’m sure the cookbook is great, too! I would love to win since I have been following the Detoxinista blog since the beginning! The recipes sound so delicious and I’d love to try some out. 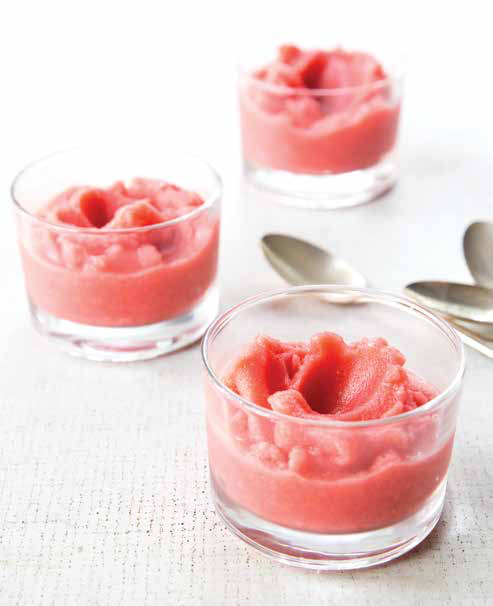 This sorbet looks so refreshing and perfect for summer! I would love to gift this to my family who is transitioning to a more healthy (vegan) lifestyle! I am interested in learning more about food combining, and this book looks to be a wonderfully approachable lesson in it. Some of the things I have read in the past are informative, but cumbersome, in a way that’s difficult to describe clearly. This book looks to be very accessible, informative, AND enjoyable. I look forward to reading it. I check Megan’s blog daily and love her recipes. Just finished baking a batch of yummy flourless peanut butter cookies and can’t wait to see what recipes are in her book!! I am most excited because the recipes look easy to make and look so delicious! Yum! I have been following Megan for several months now and all of her recipes are yummy! I like what you say about balancing food. I have thought about detoxing but don’t think drinking liquids all day is the best thing. So, the detox books sounds like a healthier alternative. This sorbet sounds delicious and easy to make. All of these recipes look and sound so amazing and I just might be making the sorbet this week! I want this book for recipes I can fee good about!! I am so excited for this cookbook, because I LOVE reading and discovering new ways/things to cook. I find it interesting at how different people cook and eat. I would love to get my hands on that book–the recipes mentioned sound amazing and I would love to see/try the rest of them, too! This book sounds incredible – I would love to find a way to make healthy desserts that still satisfy my cravings. I am interested b/c the recipes sound yummy! Can’t wait to try this sorbet recipe! It has so many great recipes that I am dying to try. Thanks so much for sharing the book and your perspective! I’m excited to see a copy of this cookbook because, like you, I really appreciate the non-militant and flexible approach to “detox.” I also like that it is super vegan-friendly while also having non-vegan options because I feel like that makes it a book I can easily share with friends and family without them thinking I’m trying to push vegan recipes on everyone. thanks for the recipe! Looks refreshing and light! This sorbet looks magical! Now that I’m heading into grad school (I probably owe you an update, Gena!) I’m really looking for lots of simple but easy and delicious recipes to incorporate into my diet. 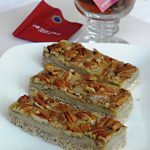 I’m going to head over to Megan’s site and check her out since her recipes look delightful! The recipes look so delicious and healthy! I would love to win this! I’m busy and need simple recipes that encourage me to eat healthy. What a great way to usher summer in! 🙂 Can’t wait to go to the grocers and get those lime and strawberries! 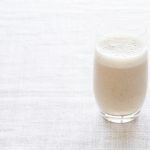 I definitely can’t do cleanses or detoxes any more, it really screws with my hormones and metabolism, but these recipes sound hearty and delicious. I am looking forward to cooking inspiration. All the new healthy recipe ideas!